This free app includes all the features you need in a versatile grocery app: barcode scanner, list sharing, and integrated coupons. It even includes a favorites list for the routine things you need for any party. You can build lists through their extensive product database using text, barcode or voice search. You can sync and share lists with other devices and the GroceryiQ.com website. You can even edit your list online and the app will update automatically. While not free ($3.99), this handy grocery app is packed with useful features others may not have. For starters, it lets you link multiple accounts and send push notifications to other users should you need a last-minute item. The app even links to recipe sources like Big Oven so the ingredients to your potluck party are automatically added to your shopping list. And, yes, you can edit your list online using Grocery Gadget’s online portal. Like most grocery apps, you can search for eCoupons offers (from 28 participating chains) that apply to the items on your shopping list and add them to your club card in a single click. Almost free at 99 cents, this shopping list app features a barcode scanner that’s supported by RedLaser, a top-rated iPhone shopping app. The RedLaser scanner is fast and less susceptible to vibration than other iPhone scanners—great if you’re in a hurry or with a bouncy kid in a cart. This app also provides list sharing, item photos, and online list editing. 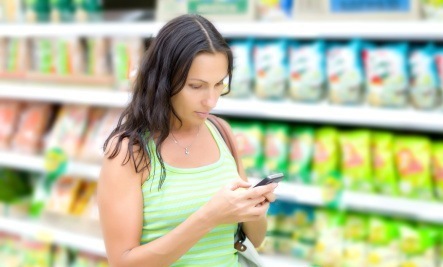 It includes grocery coupons from major retailers, all matched to your shopping list. And it lets you choose from 1000’s of web recipes. This free nutritional and price comparison/conversion app can save you money on those big potluck dinners. It lets you compare, convert and calculate prices and nutritional info in one easy step. You can even compare two prices on different sized items. It lets you compare calories, sodium, sugar and whatever’s on the nutrition label, regardless of listed serving sizes. If you’re hosting the next big potluck party, these handy grocery shopping apps can not only simplify your life, but save you money. Really we need an app for this now...jeez make a written list and get your act together. How hard can it be, we were able to do fine without all these apps. Yikes! go with your gut feelings on what makes a fun,healthy, tasty party and carry on.